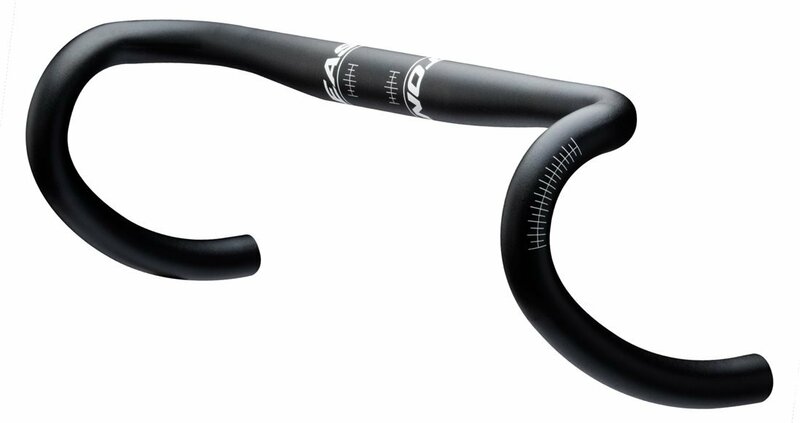 The EA50 Road Bar is Easton's rock steady aluminum road bar. Constructed of Easton's durable EA50 aluminum, the EA50 uses the same MCD drop technology as Easton's top of the line road bars, giving you a product that ends up only a few grams heavier than the EA70. The EA50 Bars are budget friendly, and will keep you comfortable and in control all day. Very nice drop bars. Plenty light and strong, and the powder coat finish is immaculate. This is my second purchase of an Easton bar (I’ve got a low-rise aluminum monkey bar on my mtb bike with the same finish which has lasted years), and I expect this bar will be just as good. Great price for a quality product which should last a lifetime under “normal” conditions. I also love the shape of these bars, as there’s plenty of flat area to move around on with the hoods sticking straight out.